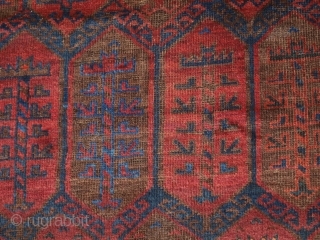 a good antique main carpet by the Baluch of Western Afghanistan. The carpet is of the shrub design with a traditional Baluch border. www.knightsantiques.co.uk Size: 12ft 2in x 6ft 7in (370 x 200cm). Circa 1870. The carpet has the traditional dark indigo ground and burnt orange/red with ivory high lights. 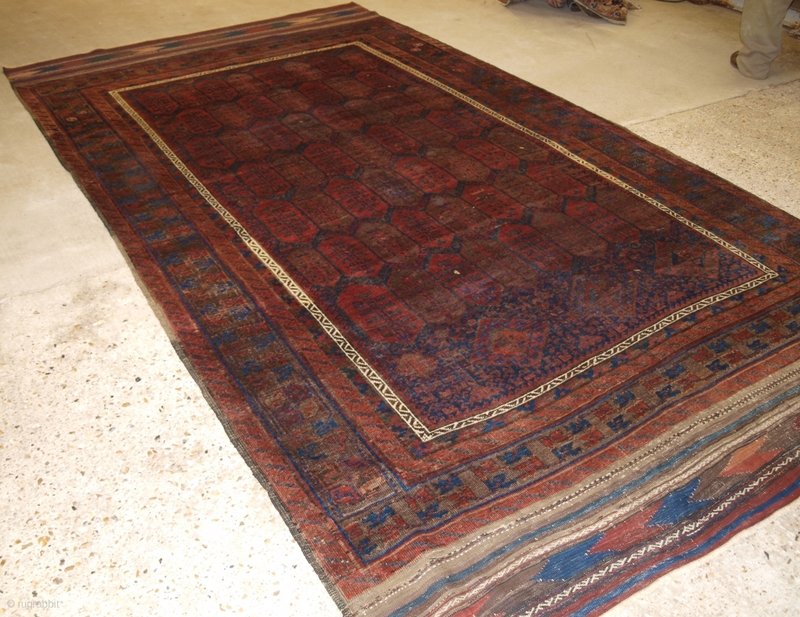 Note the long original kilim end finishes at both ends. Note also how the field design changes after about the first 30cm. The carpet is in excellent condition with some slight wear and corrosion, the pile is medium. The carpet is suitable for normal domestic use. The rug has been hand washed and is ready for use or display. 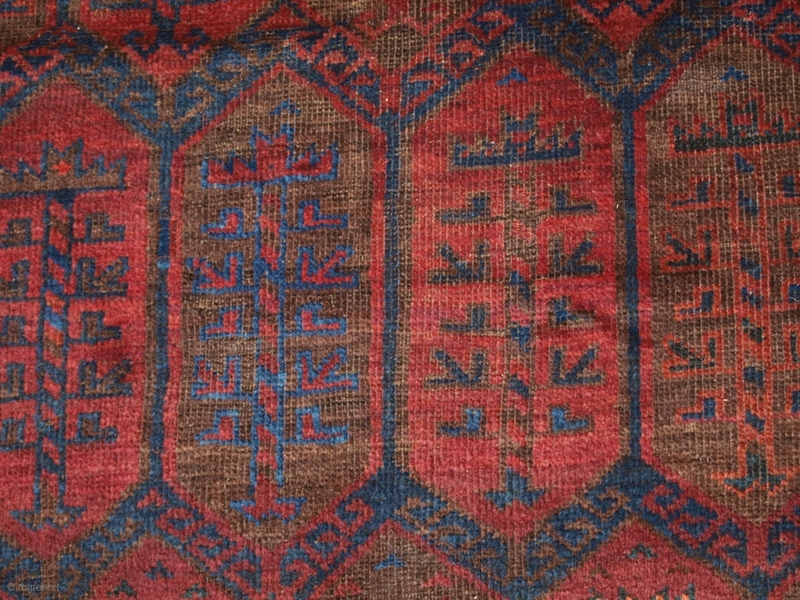 A very good and scarce example of 19th century Baluch weaving. Stock Number: r-1259.